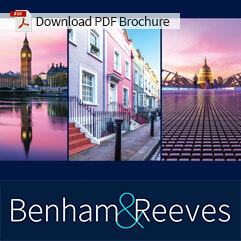 We have been letting and managing London property for over 50 years and have sixteen offices in London including flats in Beaufort Park, apartments in Canary Wharf, the City of London, Ealing, Greenwich, Hammersmith, rental property in Hampstead, renting in Highgate, Hyde Park rentals, flats at Imperial Wharf Fulham, homes to rent Kensington, apartments property for rent in Knightsbridge, Surrey Quays and Wapping. We do not sell property, which means we are able to concentrate all our efforts on providing an efficient letting and management service. As founder members of ARLA (the Association of Residential Letting Agents), we keep abreast of all government legislation affecting the London leasing market and ensure all our clients remain abreast of news that could impact their property. We are also members of the Property Ombudsmen Lettings Scheme and the Tenancy Deposit Scheme . We advertise in a wide range of marketing media including several of our own websites and all the major online property portals and forums. In addition, we produce a monthly property register which is mailed to several hundred companies. This is supplemented with monthly direct e-marketing to circa 1,000 applicants who have registered with us in the previous week. Our marketing expertise combined with our offices in Hong Kong, Singapore, Malaysia and India, enables us to provide a uniquely personal letting and management service for overseas landlords. Over the past 50 years, we have established an international network of contacts amongst corporate and professional firms and organisations. This extensive global network means we are able to work in partnership with many large international companies to help relocate staff. Therefore, we continually have large numbers of corporate employees on our database that are looking for rental accommodation in central London. Our commitment to marketing by using the methods that we know work, combined with our 50 years of experience and prominent London offices, which are open on Saturdays, enables us to ensure your property gains maximum exposure.